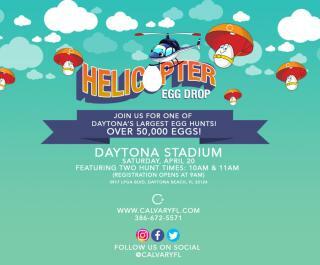 Join Calvary Christian Center’s annual Helicopter Egg Drop and Easter Egg Hunt at Daytona Stadium in Daytona Beach! 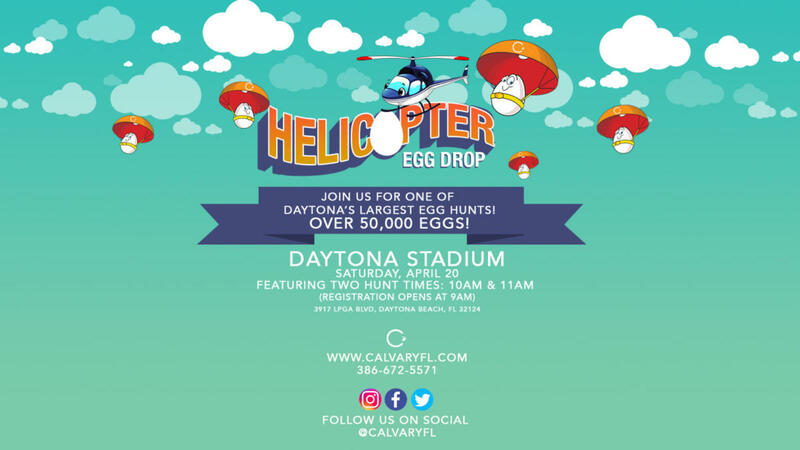 Come ready for a day filled with fun for the entire family with lots of candy, inflatables, and so much more. Please visit the website for more information.